« Older: SPHS Boys Softball Team: 2016 NSSSA Champions! Easter season in Belize also means no classes for around two weeks for students countrywide. In Ambergris Caye different organizations set up learning programs in order to keep students occupied and learning new things, specially the very young ones. 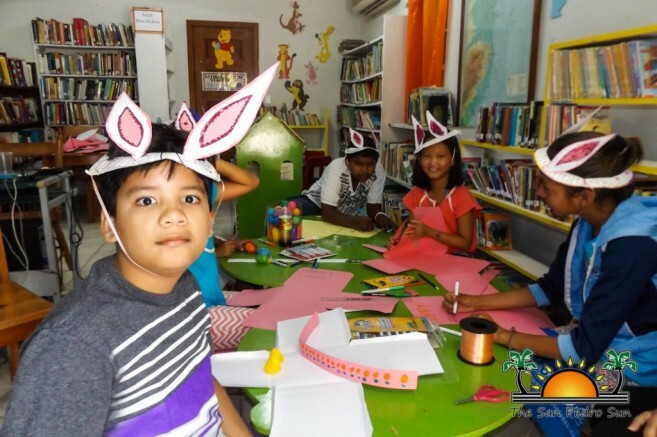 As a result, the San Pedro Library held a series of activities for the youngsters in an Easter camp that tested their imagination and creativity. The camp was held from Monday, March 21st to Wednesday, March 23rd targeting children between the ages of 7 to 12. During the three days of camp from 9AM to noon, different activities kept the children well entertained. They watched educational films, played games and even got to do some arts and craft, all related to Easter. 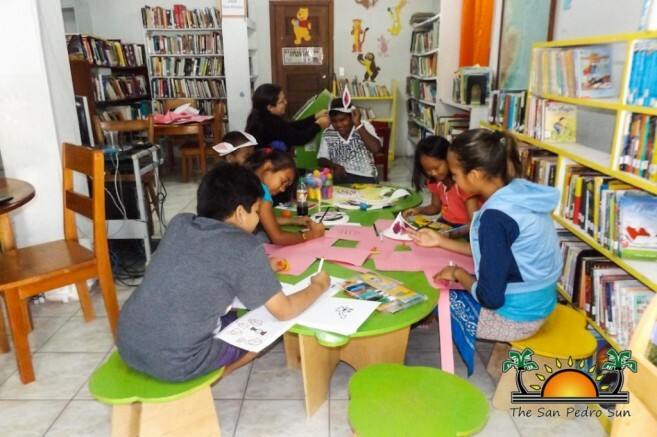 According to Senior Library Assistant Marlene Coral, the children had fun at the camp while at the same time learning new things during their holidays. “Many of the activities dealt with teaching the children the importance of the holiday and why we celebrate Easter. Some of these children may not know the significance of the holiday, thus, through fun activities we teach them about it,” said Coral. The children enjoyed each day of the camp, however, the third day was the most fun one according to the youngsters. Early on Wednesday, they watched another educational film reminding them once again about the importance of the holiday. After the film, it was time to get outside of the library and play some games on the beach. As part of the activities on this last day, a piñata was brought out and each child had an opportunity to bat the candy-filled object to get some sweets out of it. With Coral’s supervision, each child felt well-deserved of their candies as they got them out of the piñata. After the piñata was removed, the fun did not end there. Exhausted, but eager, the students continued having fun when they were invited to participate in the anticipated activity everyone knows; the Egg hunt. This fun activity took over the compound in front of the library and onto the beach looking for the candy-filled Easter eggs. At the end of the camp, the children were happy and full of new experiences to share with their parents and friends. Also, during the camp, they were able to mingle with other children from other schools, so it proved to be an excellent way to make new friends. 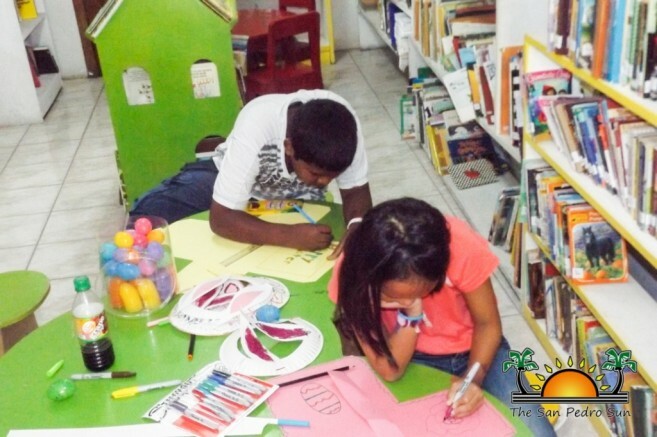 The San Pedro Library would like to thank all parents who allowed their children to be part of the Easter Camp. Also special thanks to The San Pedro Sun for their support and publicity and a big THANK YOU to all the children that participated in the educational camp. 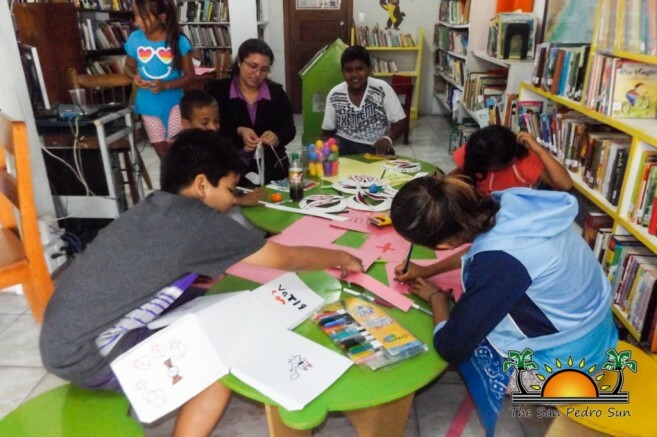 The library staff looks forward to offering more fun activities for the children of Ambergris Caye, especially for the upcoming summer break.